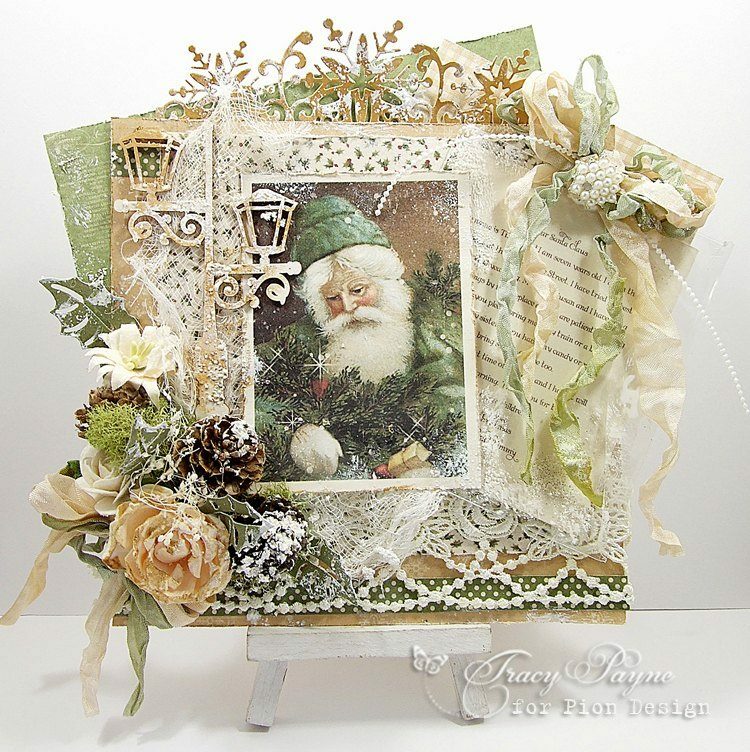 Tracy here sharing another card made using The Night Before Christmas. The images from the Past in this collection are a must have. I have used the Santa in Green, isn’t he just awesome. 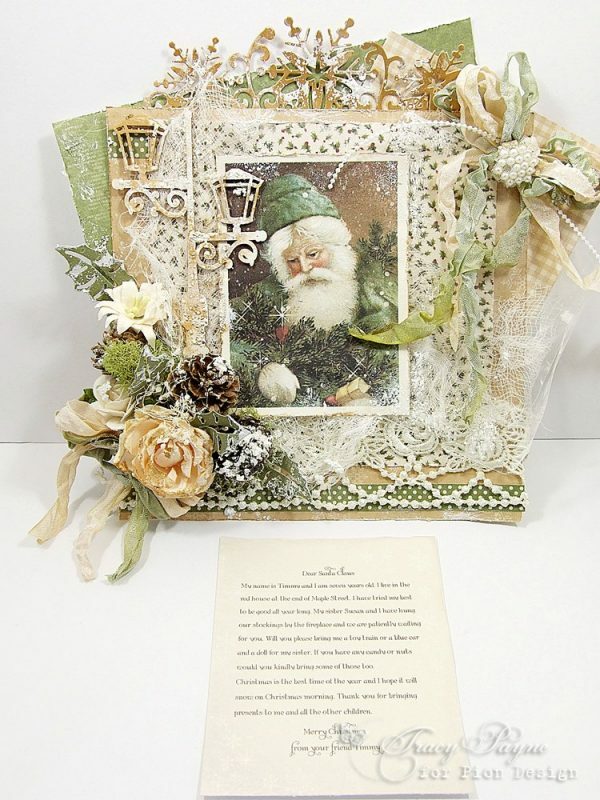 I wanted to ensure that the letter to Santa Claus, (from the Dear Santa 6×6 sheet), could be seen, so I have placed it into a clear envelope so it can be removed and because it is clear you can still see the papers behind it when removed., see below picture. Thank you Maryann, of course you can borrow my idea, be sure to mention me 🙂 These envelopes are great for this or little trinkets inside. So lovely! I love the greens and golds – stunning. Tracy WOW such a fantastic christmas card and beautiful color scheme. Absolutely stunning, I am really excited.